Lock in a great price for Place‧X Hotel – rated 8.3 by recent guests! 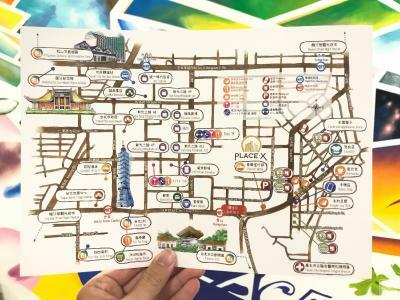 the area is one station away from Taipei 101 which is near the concert venue that I attended. the staff are accommodating and difference in language is not an issue whenever you need to ask them for information. The staff are pleasant. The location very convenient. 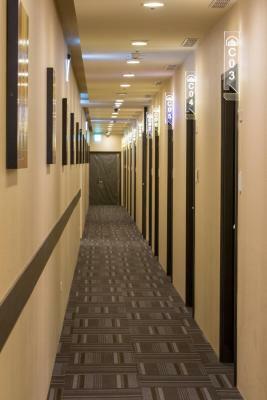 I Like the staff very accommodating and cleanliness.. things are safe and very affordable price of Hotel. Staffs were willing to help. Nice neighborhood. 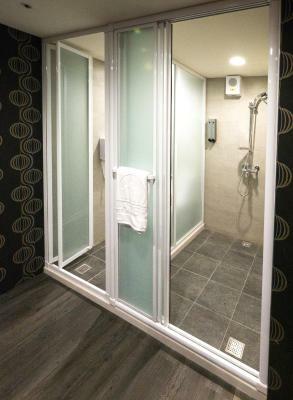 Shower room is seperate from toilet. Bed made, towels changed and bottles of water filled every day of stay. Cleanliness of the room. And excellent location. Overflowing of hot choco,coffee, and water. 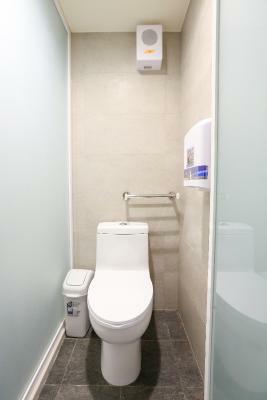 The room was large and shower was separated from the toilet. There were two sinks in our room. Kids loved being on the top bunks. We went when a typhoon was about to hit and the room was in the basement and so insulated that we didn’t hear a thing. The next morning after the typhoon we saw fallen trees and tree branches and we slept through it all. Counter staff were very helpful and warm. Bottomless hot drinks! 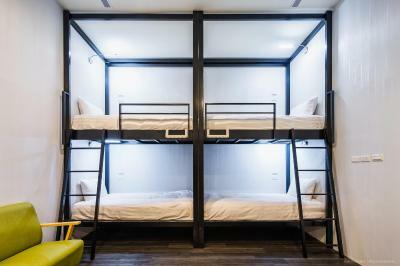 Designed in a simple and modern style, Place‧X Hotel offers private and dormitory rooms in Xinyi District of Taipei. 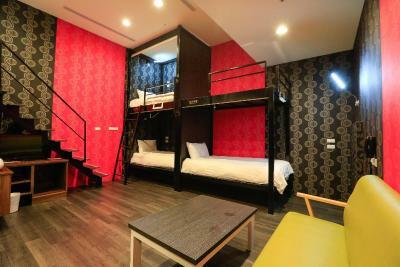 All rooms are renovated with high ceilings and come with cozy beddings. 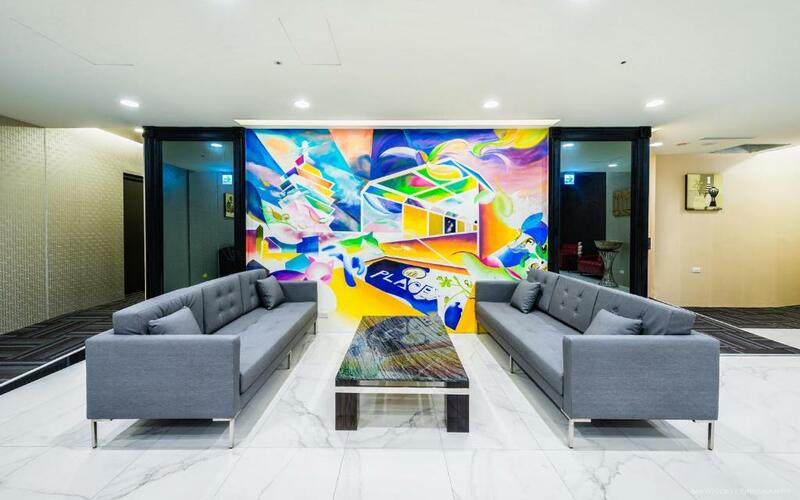 It only takes a short 2-minute walk from MRT Xiangshan Station and a 10-minute walk from Taipei 101. 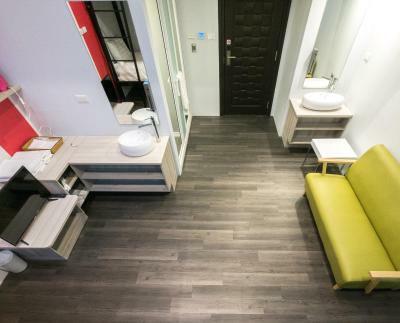 Completed with air conditioning and a private bathroom, all rooms in Place‧X Hotel are stocked with free toiletries, towels and slippers. 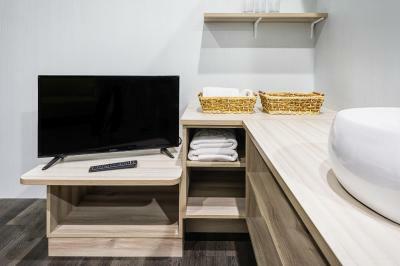 Extras provide a flat-screen TV and a sofa. Guests will find a reading light and a socket near the bed. Friendly staff are glad to assist guests with luggage storage and offer local touring information. 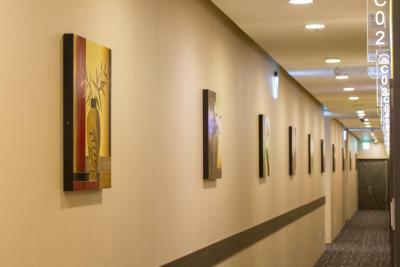 The shared lounge is opened for all guests to take a break and exchange their travel experience. Just cross the street, guests can easily stroll to Xiangshan Park where they can begin a hiking tour at Xiangshan Hiking Trail. It is 8 metro stops away from MRT Xiangshan Station to Taipei Main Station where guests can reach major cities and attractions of Taiwan. 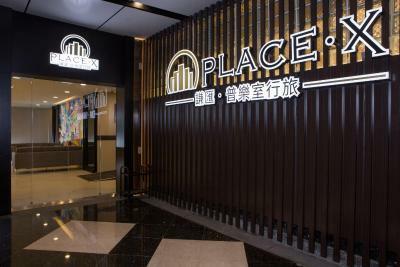 When would you like to stay at Place‧X Hotel? 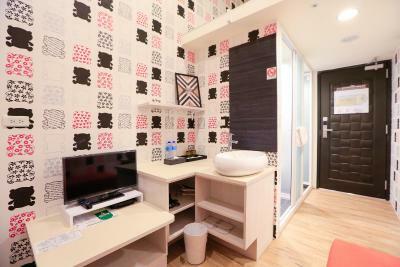 This double room features air conditioning, soundproofing and sofa. This twin room features a sofa, flat-screen TV and air conditioning. 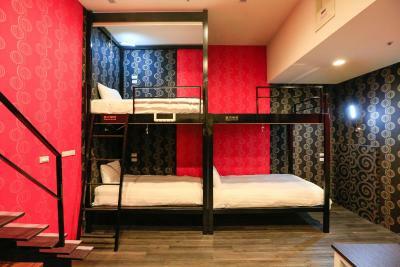 This quadruple room features air conditioning, seating area and soundproofing. 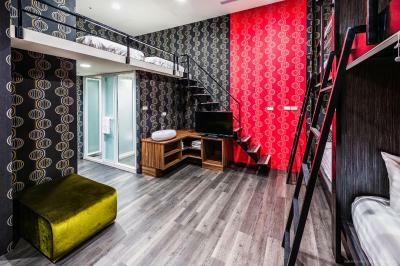 This triple room has a sofa, flat-screen TV and soundproofing. 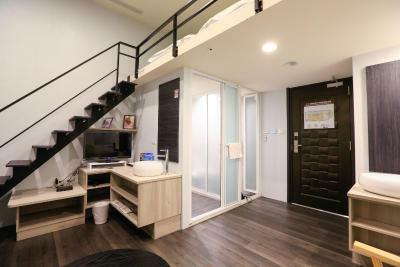 This triple room features a soundproofing, sofa and air conditioning. House Rules Place‧X Hotel takes special requests – add in the next step! Place‧X Hotel accepts these cards and reserves the right to temporarily hold an amount prior to arrival. 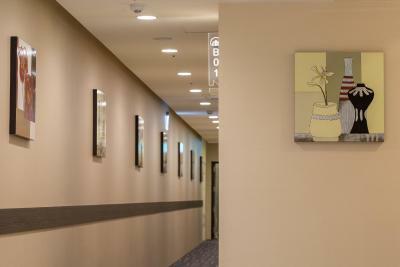 Please inform Place‧X Hotel of your expected arrival time in advance. You can use the Special Requests box when booking, or contact the property directly using the contact details in your confirmation. Sheet appeared a little dirty. I like the location. 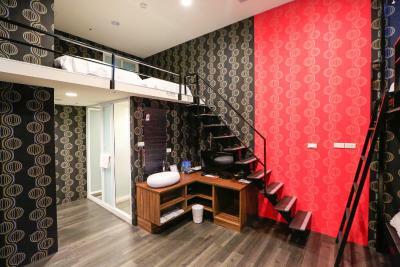 Close by mrt, eateries, clubbing and shopping area. Elevator not accessible at all times. the shower room and toilet are seperate and no washer or water in toilet.. The rooms don't have any window; not a big problem for me but I know some people care about it. They don't provide you with soap in the wash basin, only in the shower. The wash basin is not in the bathroom but close to the bed. There is no table to use your laptop but you can use it in the common room. 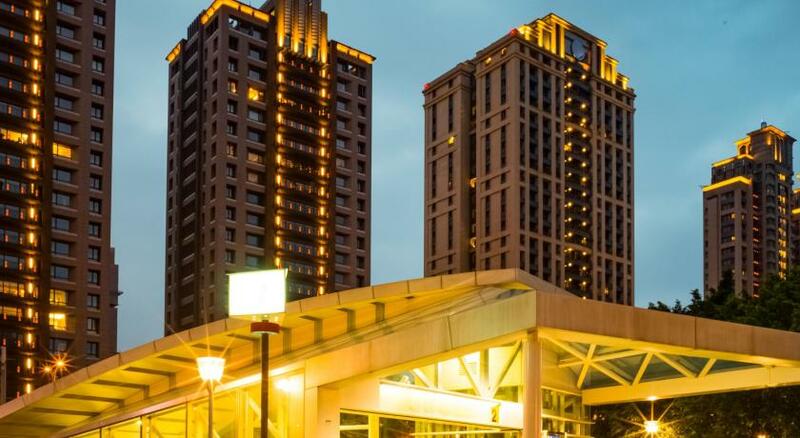 The hotel is very close to Taipei 101, just 15 minutes away by foot. The room is clean and the beds are comfortable enough. The staff is kind. You can get free coffee all day. The wifi works well. 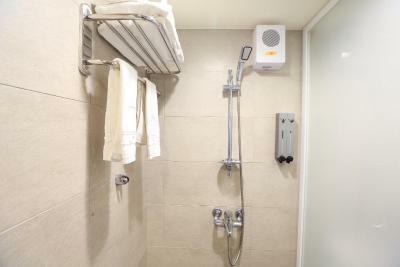 They provide you with towels and basic toiletries, though there is no soap in the wash basin, only in the shower. 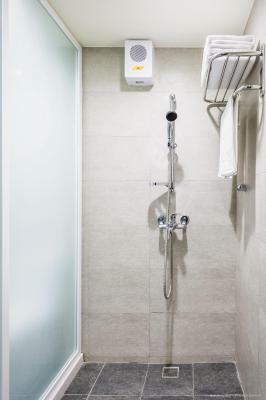 The shower is a closed one, which is not common in Asia, which means that the water won't pour everywhere but will stay within the shower box. Stair case down to hotel, inconvenient for heavy luggage carrier. Wifi was horrible. TV position is at awkward position. Housekeeping was terrible, staff not even bother to make bed properly. Front office staff polite. Not too far from mrt. The staff was mostly only speaking Chinese. The ac was also only in Chinese and very noisy during the night. Also a lot of lights in the room which can’t be turned off during the night. 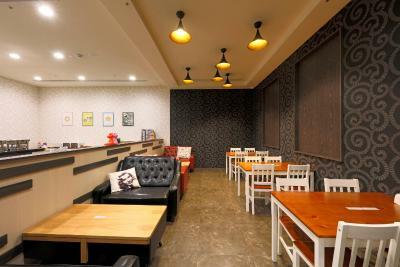 The location is very good if you want to go to a club in the area. Otherwise it might be a bit far from most of the tourist places. Simple and cheap. Meet the expectations. There could be more hangers and hanging places for clothes. A boiler would be good as well. There were no windows. There were no instructions on getting to the basement. I had huge luggage and the lift was on the other side. I had my privacy. It was quiet, the beds were ok. The toilet was clean. Simple and good, value for money. I think I will book this place again. It's so near Taipei 101. It didn’t have some type of breakfast or snacks. No windows in the small room, but hey it’s cheap and location, location, location. 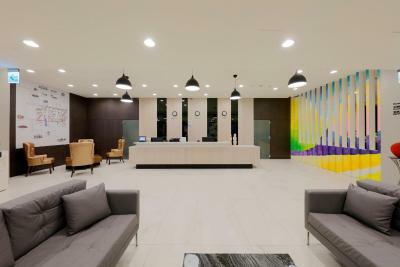 Location and friendly front desk.